Shield of Barbaria - . 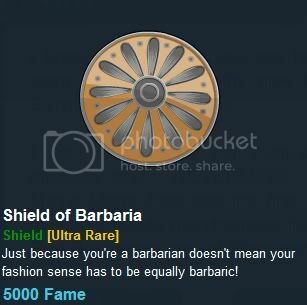 Description: Just because your a barbarian doesn't mean your fashion sense has to be equally barbaric! Note: Color Custom to Base Color. Thanks to Peachii and Sephria.